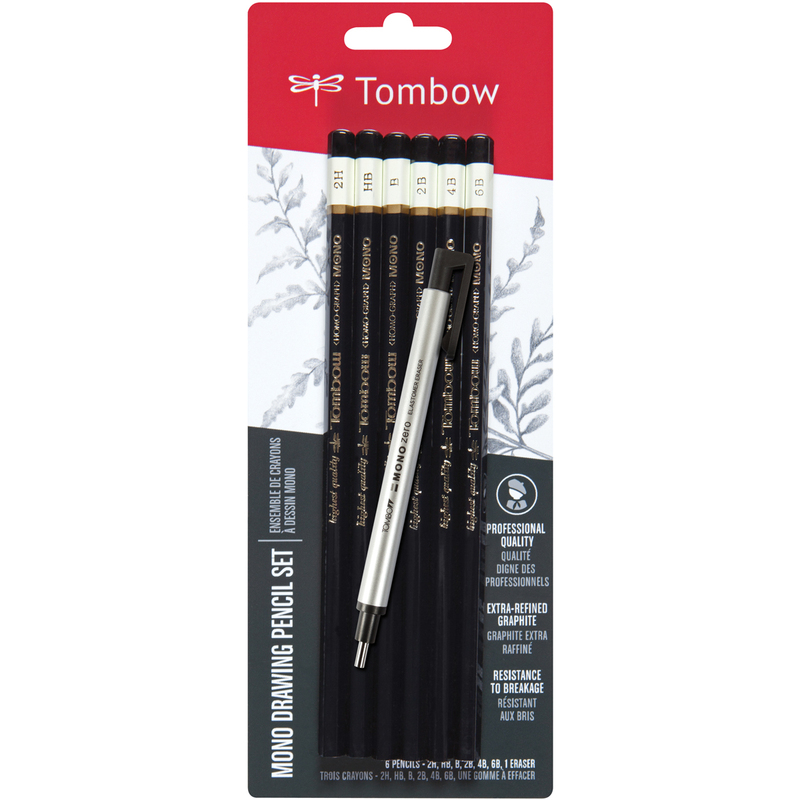 TOMBOW-Mono Drawing Pencil And Eraser Set. Use these professional quality tools for drawing and drafting! The pencils have a point that remains sharp and is break resistant, give smearproof lines for crisp and clean drawings, are made of the highest quality materials and the lead is made of extra-refined high density graphite. The eraser has a 2.3mm precision tip and the eraser won't damage paper. This package contains six pencils (one each of 2H, HB, B, 2B, 4B AND 6B) and one eraser stick. Color: Black. Imported.